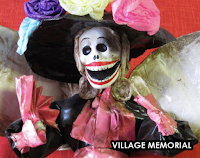 In this video, we explore the origin of the Day of the Dead celebration. We review the development of the holiday, the history behind it, some of the practices, influences, attitudes, and special traditions of remembering loved ones in the Latin American culture. Please tell us: What do you like best about Day of the Dead? How do you celebrate?